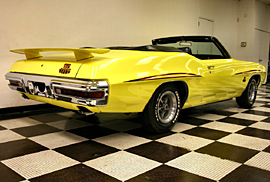 1970 PONTIAC GTO (THE JUDGE), THIS IS NOT A $300,000 JUDGE CONVERTIBLE !!!!! 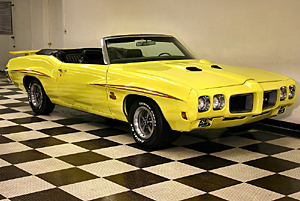 This is a $29,900 GTO Judge clone with AC that is selling for 10% of the cost of the real thing. The car comes with brand new bright yellow paint over a straight solid body accented by Judge striping. 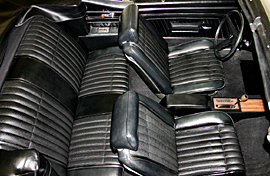 Nice black bucket seats with a console and shifter, Brand new black top. The car come wiht a 400 v8 engine, 350 turbo transmission, Power Steering, power brakes, and AIR CONDITIONING. Copyright © 2014, BCautos.com. All rights reserved. All other trademarks are property of their respective companies.